MEPs call for EU resources that match ambitions on research, environment, transport, energy, telecom, defence, space and digitalisation under the 2021-2027 EU budget. Following Parliament’s adoption of its position on the EU’s long-term budget (2021-2027 multiannual financial framework – MFF), MEPs are this week setting out their position on the scope and the priorities for investing in areas which are crucial for future growth. Parliament asked for an additional €36.5 billion (compared to the European Commission’s proposal) to be added to the programme budget, bringing the total to €120 billion in 2018 prices (€135.25 billion in current prices). The Parliament wants to prioritise programmes that include women, SMEs or participants from lower-performing EU countries when deciding on two equally strong applications. The proposal for the LIFE programme for 2021-2027 financing of environmental and climate objectives was approved by 580 votes to 41 against, and 45 abstentions. MEPs propose to double funding for the LIFE programme compared to the last 7-year period. The total financial envelope foreseen is €6.44 billion in 2018 prices (€7.27 billion euros in current prices compared to the Commission’s proposal of €5.45 billion). The EU programme for the environment and climate action will contribute to mainstreaming climate action and to reaching an overall target of at least 25% of the EU’s budget expenditure supporting climate objectives over the 2021-2027 period. The proposal to renew the Connecting Europe Facility (CEF) between 2021 and 2027 to ensure continued development of trans-European transport, energy and telecom networks was approved by 434 votes to 134 against, and 37 abstentions. A total budget of €43.85 billion in constant (2018) prices should be reserved for the Connecting Europe Facility, of which €33.51 billion will go to transport projects, €7.68 billion will fund energy network projects and €2.66 billion will be reserved for digital network development. 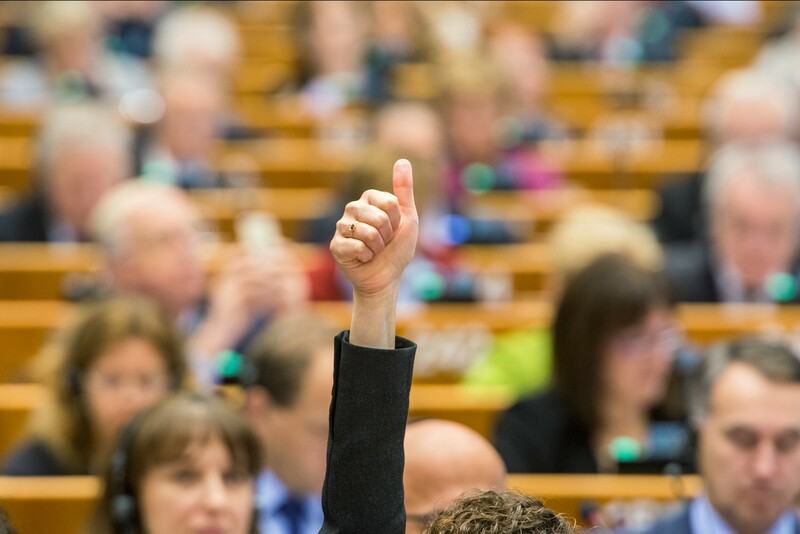 The proposal for the European Defence Fund for 2021-2027 financing to foster innovation was approved by 337 votes to 178 against, and 109 abstentions. MEPs approved the proposal to allocate €11.5 billion in 2018 prices (€13 billion in current prices) to the EU Defence Fund for 2021-2027, aiming for a more ‘European’ approach to defence. MEPs agreed that it will provide €3.62 billion in 2018 prices (€4.1 billion in current prices) to directly finance competitive and collaborative research projects, in particular through grants. Beyond the research phase, €7.84 billion in 2018 prices (€8.9 billion in current prices) will be available to complement member states’ investment by co-financing the costs for prototype development and the ensuing certification and testing requirements. The proposal for the 2021-2027 EU Space Programme was approved by 483 votes to 68 against, and 19 abstentions. In order to help maintain, and further enhance, the EU being at the cutting edge in space, Parliament raised the Commission’s proposed 2021-2027 budget for the EU Space Programme by €821 million in 2018 prices (€925 million in current prices) to total of €15.02 billion in 2018 prices (16.93 in current prices). MEPs are convinced that this will give an important boost to EU industry in the field of space and decided to include tackling cyber threats and supporting space diplomacy in the scope. The proposal to create the first ever 2021-2017 Digital Europe programme was approved by 491 votes to 38 against, and 51 abstentions. MEPs want to create a Digital Europe programme and invest €8.2 billion in 2018 prices (€9.2 billion in current prices) to achieve the Digital Single Market strategy and to make the EU more competitive internationally. In addition to reinforcing Europe’s strategic digital capacities, they want the programme to focus on supporting high-performance computing, artificial intelligence, cybersecurity and advanced digital skills. The European Parliament is now ready to start negotiations with EU member states. MEPs want to agree on as much as possible on the MFF-related files as soon as possible, in order to avoid any serious setbacks in launching the new programmes due to late adoption, as experienced in the past.